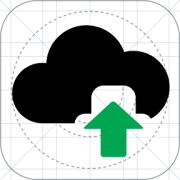 Vatech EzRay Air™ It all starts with Weight Innovation. 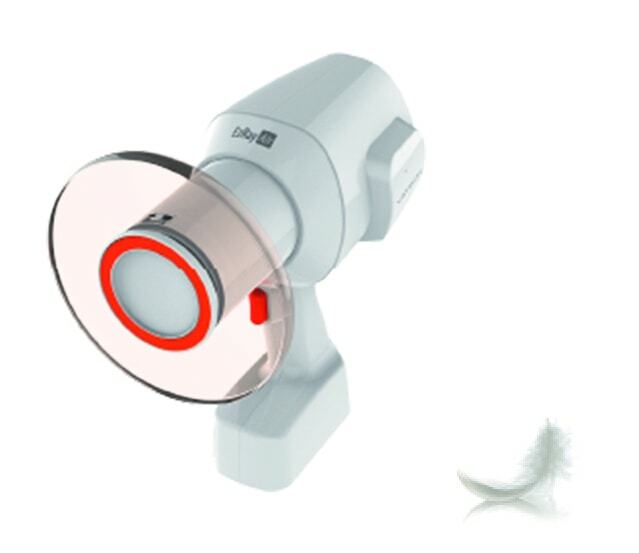 A light portable intra-oral X-ray creates a stable condition for positioning the device. 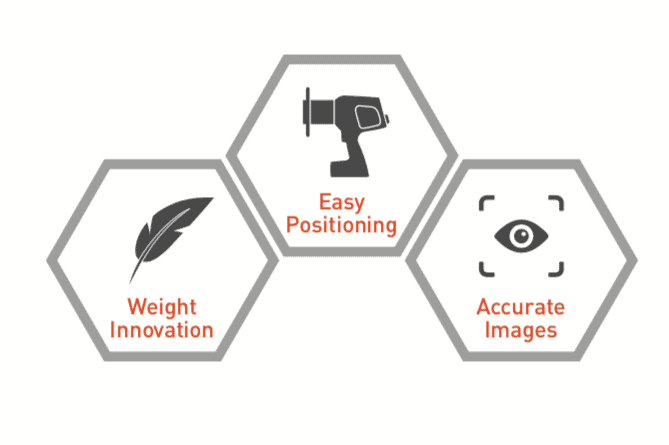 The ease of device positioning produces clear images without any motion artefact. Handling a lightweight device is very convenient as it reduces the time taken to process a full mouth series. It also produces faster workflow and less stress for your staff. The internal radiation shielding is perfectly designed to protect the operator from radiation leakage. Scatter radiation results from the beam interacting with the surface of the patient, causing radiation to bounce off as residuals scatter in different directions. 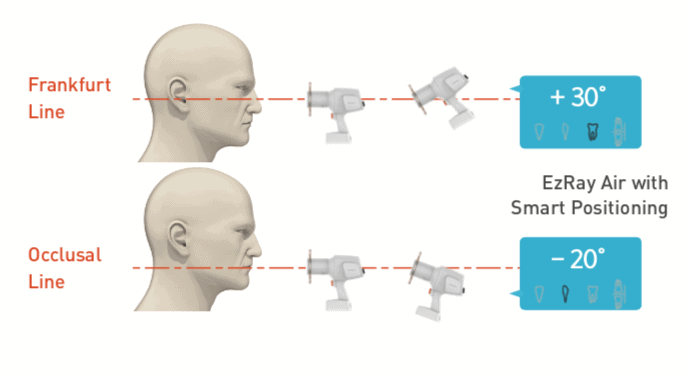 The backscatter shield significantly reduces the operator’s radiation dose. The smart positioning makes preparation simple. There are default exposure settings for the angle of each tooth. With EzRay Air, there is no need to remember and press numerous buttons for each setting. The Smart Dial has all the settings in one dial, reducing the preparation time and creating a simpler and faster work flow. 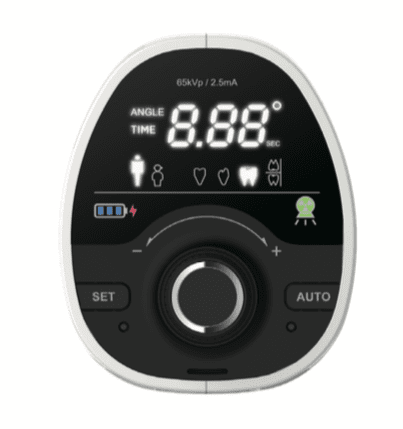 The Smart Positioning function also provides optional tooth mode settings and scan time settings. 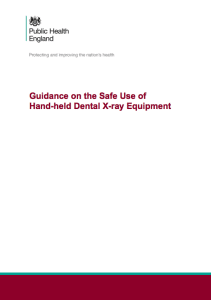 This report (PHE-CRCE-023) gives guidance on safe use of hand-held dental X-ray equipment in accordance with UK radiation protection legislation. Public Health England’s Dental X-ray Protection Services have noted a steady increase in both the numbers of hand-held X-ray sets used in UK general dental practice for routine intra-oral radiography and the number of models of hand-held X-ray sets available to dentists. 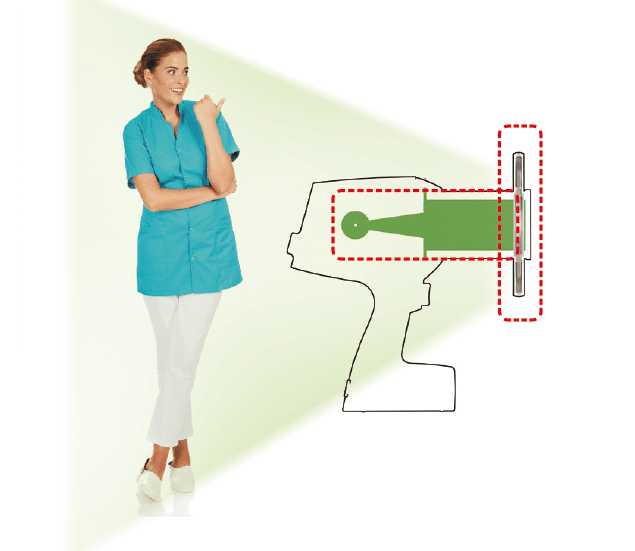 Investigations indicate that it is clinically practicable to use hand-held dental X-ray equipment for most of the radiographic examinations commonly undertaken with wall-mounted X-ray equipment, albeit with some adjustments to procedural aspects of radiography such as patient positioning. Safeguards for people who might be exposed as a result of the equipment being used in locations remote from the dental practice, such as care homes, should be considered. 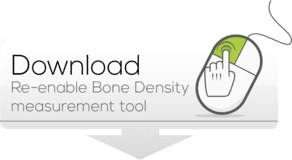 This publication proposes a safety standard for the design and construction of dental X-ray equipment that is intended to be used hand-held and provides guidance to assist all people involved with hand-held dental X-ray equipment to work with it safely and in accordance with UK radiation protection legislation.